India's Sumit settled for silver after he lost in the gold medal round to Iran's Yadollah Mohammadkazem Mohebi in the 125kg Freestyle category. 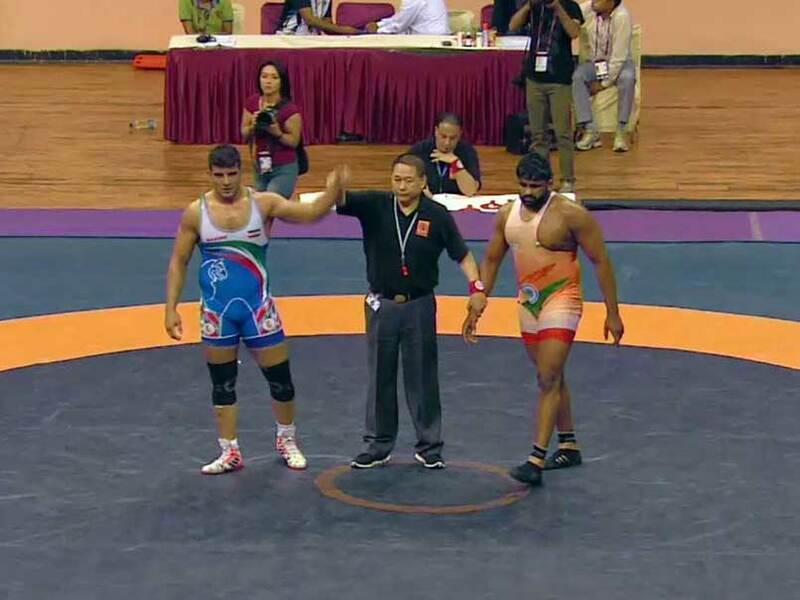 India finished their Asian Wrestling Championship campaign on a resounding note with Sumit winning a silver medal in the 125 kg category on the concluding day of the continental event. Sumit went down to Yadollah Mohammadkazem Mohebi of Iran in men's 125kg Freestyle gold medal bout on the final day of the competition here. 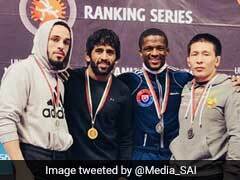 The Indian wrestlers finished with 10 medals, including a gold, five silver and four bronze, bettering their tally of nine medals in the last edition of the Championship at Bangkok. In the gold medal round, the Indian wrestler could not pose much threat to his formidable Iranian opponent --losing 2-6 to settle for the second position. After conceding a point, the Indian grappler was quick to pull back two points by overpowering his opponent and throwing him out of the mat. The Indian once again managed to grab the Iranian leg but failed to capitalise on the advantage as Mohebi push Sumit down on the mat to bag two points before finishing off the opening round with two more to lead 5-2 at the break. In the second half, the Iranian gained one more point even as Sumit failed to make a comeback and lost out on a gold medal. Earlier, the heavyweight grappler showed his mettle on his way to the final as he faced little difficulty in overcoming his opponents during the quarterfinal and semifinal bouts. In his first bout of the day, Sumit beat Taiki Yamamoto of Japan 6-3 in the quarters and then outplayed Farkhod Anakulov of Tajikistan7-2 in the semifinal to reach the gold medal round with much ease. However, all the other Indian freestyle wrestlers in the fray today -- Harphool (61kg), Vinod Kumar Omprakash (70kg) and Somveer (86kg) -- bowed out early. Harphool went down fighting 6-7 to Rei Higuchi of Japan in the quarterfinal round to crash out of the tournament. The Indian wrestler though did well during his qualification bout, thrashing Divoshan Charles Fernando of Sri Lanka 11-0. 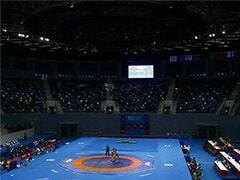 Vinod Kumar Omprakash lost to Japan's Momojiro Nakamura in the quarterfinal of men's 70kg. Somveer bowed out of the competition after he was handed a 0-11 defeat by Gwanuk Kim of Korea in his qualification bout.